Stumped with a decision for your next extended family reunion? Maybe you’ve hosted at your house in the past, but the family has grown and you’re just out of extra bedroom and couch space? Or, you’re looking for something that is going to keep everyone (grandma, grown kids, little ones) happy? 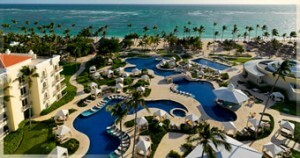 A popular and growing solution is the all-inclusive resort gathering in Mexico or the Caribbean. An all-inclusive resort makes things so much easier. Food and drinks are covered, there are lots of ways to stay busy at the resort, and there are optional excursions for the more adventurous in the group. This is especially good for extended families spread across the US. Everyone can arrive on flights from their departure cities, meeting at the resort for time to spend together. The toughest part, then, is deciding upfront the best travel dates and a budget that works for all. Talk with each family to get a consensus on travel dates. If one party has limited time, they can always join the group for a portion of the stay (say, the first 3 nights), while everyone else enjoys a longer stay (say, 5 to 7 nights). Get an honest assessment of budget. Make sure everyone participating has given their input on budget — the lowest budget will generally determine the budget of the group as a whole. Get a headcount of family, by departure city, along with ages of children at time of travel. Does everyone have passports, or will be able to get passports in time for travel? Are their any limited mobility issues in your family? If so, a smaller resort might be a better fit. Discuss destinations. Playa del Carmen (south of Cancun) is a favorite, along with Jamaica and Punta Cana. Some of the other Caribbean islands can be a bit tricky to coordinate flight schedules, but it doesn’t mean they are impossible to coordinate. With this information, contact me by email cindy@expertfamilytravel.com or call at 972-625-6200. I can then put together package ideas to work with your family’s travel requirements. Review the options with your family members to pick your favorite resort option. Each “head of family” would then contact me directly with final details and to process payment. ~Happy travels! Cindy Grant, Expert Family Travel. 972-625-6200. Located in The Colony/Frisco Texas in the Dallas metro area. We are located near Plano, Little Elm, Lewisville, and Irving. Christmas and New Years are behind us, the decorations are put away. Now what the next two or three months will be is cold weather, bleak skies, and slippery walkways. 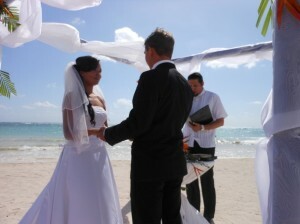 -Cancun Mexico — offering all-inclusive resorts in the moderate to luxury range. This destination is more suited for adults, but there are still some family friendly options in the Hotel Zone for all price points. If you haven’t been to Cancun in the last decade, the biggest changes are the addition of some top-of-the-line luxury resorts. -Riviera Maya Mexico — still reigns my favorite destination in terms of the quality of the resorts and the best “bang for the buck” in the upscale and luxury all-inclusive market. There are resorts here that range the size ranges (from tiny boutique to huge mega-campus). Plus, you can’t beat the flight times from the US. -US Virgin Islands — a great tropical choice if you don’t have time time or energy to get your passports before heading south. Resorts here range from 3 to 5 stars, mostly without meal plans. Anticipate needing one connection with your flights each way, so a longer (4 nights or more) stay is best suited. -Disney Cruise Lines — now with four ships instead of two, your options are double! Winter itineraries depart from Port Canaveral (Orlando), Miami, and Galveston (Texas). If you can travel during a week that schools are normally in session, pricing is pretty good. Spring Break and Easter dates are pretty full (and pricey). -Tahiti — this is actually Tahiti’s low season and their summer. So if Bora Bora is on your bucket list, maybe this is the year you get to go! If you are looking to travel within the next 3 months, having some flexibility on travel dates, island, and resort will help (since space does book up early, especially with the overwater bungalows in the 5 star resorts). This is an ideal second honeymoon suggestion. -Hawaii — A little bit of luau, plumeria in the air, and beachfront walks can do wonders to alleviate the winter doldrums. Maui is a great “first visit” choice, but you’ll need to rent a car. If you want to avoid driving, Oahu is your best option. Kauai is a little more adventurous (and by that, I mean more outdoorsy stuff to do). Big Island is where you get to see the active volcano. Stick to one island, unless you have at least 8 days to vacation. Cabo, Mexico — Cabo is quite popular in the winter. The weather is milder (in the summer, it can get hot), and this is the season for whale watching. Cabo is also known for golfing and nightlife. New on the scene are some great 4 and 5 star all-inclusive resorts. I’m personally staying at the Secrets Marquis Los Cabos later this month — I can’t wait! A great choice for adults wanting a little luxury and to replenishment, and there are also some great family friendly choices. Now, these are just a few suggestions. There are many others…in the Caribbean, South Pacific, Central America…so just ask! With lush mountains and baby blue waters, St. Lucia is one of my favorite Caribbean destinations for couples looking for a romantic week away. 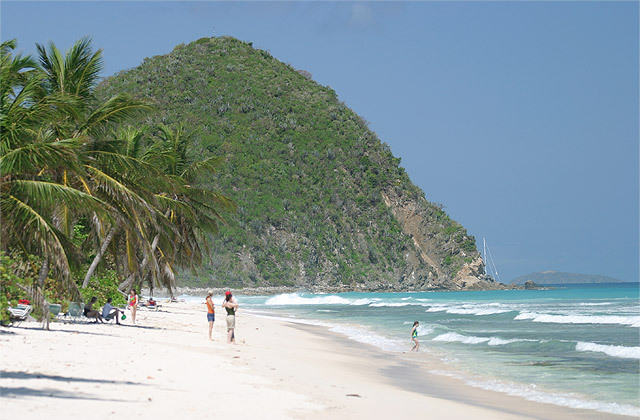 The occasional concern with my clients, though, is that there’s not enough to do in St. Lucia. The truth is that there is so much to do, chances are you won’t get to everything in just a week. Top resorts picks in St. Lucia are the adults only, couples-oriented all-inclusive resorts Sandals Grande St. Lucian and Sandals La Toc Resort. 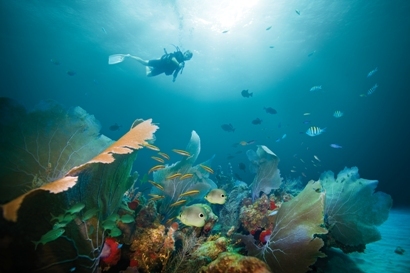 Sandals offers so much at their resorts, including water sports and scuba. Plus there’s exchange privileges (stay at one and play at three) and golf fees are included at the 9 hole La Toc Golf Course. 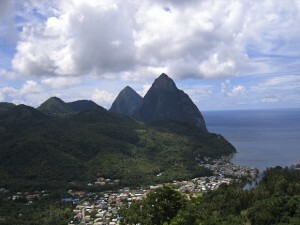 These tours are operated by Island Routes, and are open to families and couples who are staying in St. Lucia. Age and physical restrictions apply to some tours. Iberostar Grand Bavaro, Punta Cana – Can I stay a bit longer? For my clients who love the convenience of an all-inclusive and the indulgence of a luxury resort, I’ve got great news. The Iberostar Grand Bavaro, located in Dominican Republic’s Punta Cana, just may exceed your expectations. Built in 2008, this luxury adults only resort is set on a beautiful beach within the Iberostar Bavaro complex of resorts. This is an excellent resort for a group of adult friends who want to travel together and have high standards in terms of dining, room quality, and service levels. And of course, it’s a great choice for a honeymoon or anniversary celebration. There’s the 18-hole Iberostar Bavaro Golf Club onsite (complimentary round included in your stay with a minimum night requirement) as well as an excellent Spa, along with a host of activities onsite (and offsite for an additional fee). Accommodations here are sumptuous suites with incredible bathrooms, and 24 hour room service is available to satisfy the midnight munchies. Suites are decorated in muted whites and beiges, and convey a tranquil setting. Limited butler as well as concierge services are available for all room categories, and the Oceanfront Grand Suites has enhanced butler services along with some additional perks. There are four specialty restaurants, some great bars onsite (making that group get together that much more fun), and a free flowing design lagoon pool, complete with a Spanish galleon replica planted in the middle of it. Now, the part you don’t want to hear: this is on the high end of pricing for Punta Cana (prices more or less in line with Hard Rock Hotel and The Reserve at Paradisus Palma Real). But, it’s definitely the tops in Punta Cana when it comes to all-inclusive luxury. Accommodations – 272 suites, 12 oceanfront grand suites. 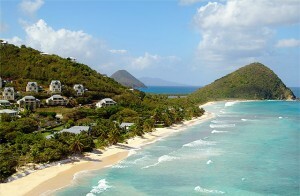 The British Virgin Islands has long been a favorite destination for the luxury yacht and barefoot sailboat crowds. But where to stay? Bitter End Yacht Club — a 4 star upscale resort that caters to couples and families. The marina here can dock 18 yachts, and sailing is a favorite activity here. Brisas Creek Resort – a luxury resort on Virgin Gorda that’s perfect for a romantic getaway. Member of Relais & Chateaux, 31 suites. Scrub Island Resort — this luxury 5 star resort will become part of the Marriott Resorts family in 2012 (part of their Autograph Collection). Resort offers 67 rooms and villas, and a marina with 60 slips. Very boat-oriented! 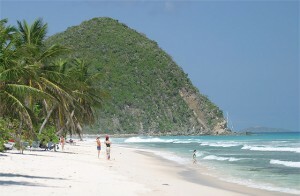 Long Bay Beach Club — the best option if you’d like to stay on Tortola. Upscale/4 star, and family/couple-friendly. British Virgin Islands appeals to dive and snorkel enthusiasts and beach lovers too — it’s not just for the boat bunch. I was recently marveling — to myself — at how much variation there is among the Sandals and Beaches Resorts, located in the Caribbean. I can count 8 of the Sandals/Beaches Resorts I’ve personally stayed at or inspected, and I can certainly remember each one distinctly. Each one also has its own uniqueness…the energy level, the menus (though I never had a bad meal at any of them), the charm of the resort overall. The only thing they really had in common was with the logo located in the pool! I’d never send a luxury, mid-forties couple to Sandals Montego Bay. 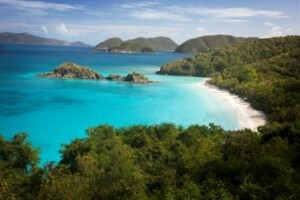 And I’d never send an energetic, nightlife-loving young couple to Sandals Grande Emerald Bay. Beaches Boscobel is disappointing at best, while Beaches Turks and Caicos will blow your socks off (provided of course you are in the right section of the resort). This is where the experience and knowledge of your travel agent really pays off. See, these resorts are NOT interchangeable. To make things more confusing, Sandals/Resorts do not allow their wholesalers to RANK the resorts, so you don’t know if you’re talking 3 stars, 4 stars, or 5 stars (which is truly the range that they cover). Travel review sites aren’t really that helpful, because the reviews are generally written by folks with LIMITED experience of the Sandals brand as a whole. Sandals/Beaches has more room categories than Subway has sandwich combinations. And they are forever changing the room names too, I think just for fun. Sandals Royal Bahamian Resort, located in Nassau Bahamas will reopen Sep 28. This is an adults only, couples only luxury resort with its own private island. Breezes Bahamas Resort, located in Nassau Bahamas will reopen Nov 1. This is an adults only moderate all-inclusive resort that is ideal for singles traveling together or a couple looking for an economical, all-inclusive getaway. Beaches Turks and Caicos, located in Turks/Caicos will reopen Oct 6. This is a resort for families, couples, and singles, is all-inclusive, and has an exceptional diving and snorkeling program. Sandals Great Exuma Bay Resort survived Irene with no damage, and continues to be open (with some great recent upgrades to their restaurants and additional suites, I might add!) This is a luxury, adults-only couples-only all-inclusive resort. All accommodations are suites with butler service, with excellent diving and water sports available.